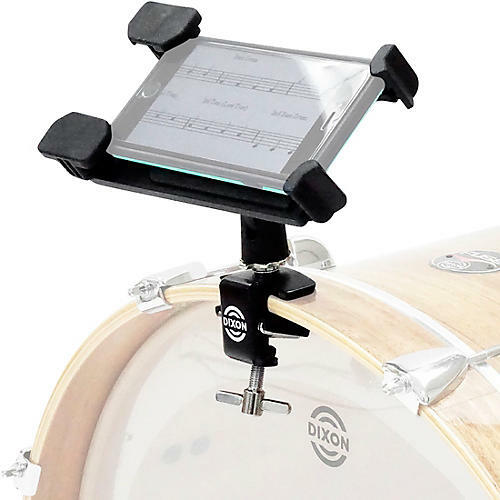 Tablet clip for attaching to drum hardware. As iPads and other tablets become more and more common for lyric reference, charts, set lists and more, accessories that make using them easier is a critical part of anyone's equipment list. This Dixon mounting system is easy to use, reliable and well made. Device holder fits tablets with a horizontal or vertical side measuring 6-1/4" to 8-1/4"
Order today and always have your set list in sight.